Astyanax is a side-scrolling platform game. The controls are fairly simple: the A Button makes Astyanax jump, the B Button will attack with an axe called Bash, and a combination of up and attack will perform a special magic attack. The game also contains a few role-playing elements, such as weapons upgrades. 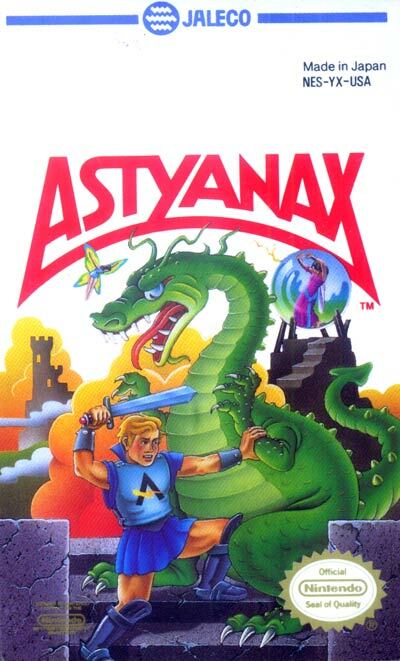 It had a unique feature (for the time) of a bar that grows between attacks; the length of the bar determines how much damage Astyanax will do with his next attack. If one attacks rapidly, one's hits will do little damage, much unlike most games where a rapid succession of hits would all be equally damaging. A very similar system would be used in Secret of Mana some years later.